A woman short in stature but certainly not in spirit or adventure, Leandra Berow lived a full life. She was an easy friend to make because she was so genuine and kind. Lee did have a stronger side though which made it clear she was mighty and not one with whom anyone would want to tangle. We can honor and celebrate her graceful way of living by sharing the memories we hold close to our heart. Before Lee's life started, the 1940’s decade was an emotionally mixed period, as it began with raging war - but those times eventually saw relief and some strides toward peace. Specifically, the year of 1945 symbolized the transition in many ways. President Franklin D. Roosevelt was elected to an unprecedented 4th term in office, but his death prompted Vice President Harry S. Truman into the presidential position. The world found a bit of relief when the war was brought to an end by the allies victory, and many concentration camps were liberated. All of this eventually led to the end of World War II in the late part of summer. Closer to home, in Cincinnati, Ohio, Sterling and Lucille (DeVries) Cramer were preparing to meet their precious daughter. She was welcomed into the world on February 28, 1945. 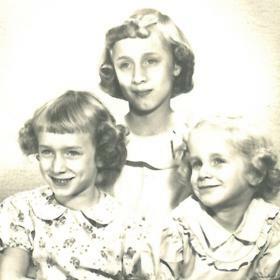 Her two older sisters, Judy and Jackie, were pleased to meet their little sister. They enjoyed a childhood growing up in middle America including Indiana and Illinois as well as her birth state of Ohio due to her father's factory management positions and business ventures. 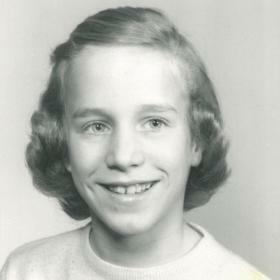 In her teens, the family settled down a little more permanently in Des Plaines and Park Ridge which are suburbs of Chicago. Lee's personality shined as bright as her striking blue eyes. She was known for her friendliness and her constant outgoing nature. She had delicate and beautiful features, for she was quite petite with blond hair which adorned her. 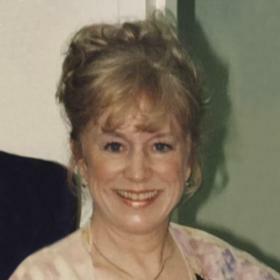 She attended Main East High School, located in Park Ridge, Illinois, where she participated in the drama program and even dabbled in some Shakespeare. She went to high school with Harrison Ford, whom she later met in her 20's, and when he gave her his phone number, she didn't call him back. She graduated with the class of 1963. Interestingly, Lee was a hand and foot model in her early twenties. She had very tiny but dainty hands and feet. Her studies were always important in her life. She continued her education at the University of Iowa earning her undergraduate degree in social work. Upon receiving her diploma, she moved to Chicago and worked as a social worker and a substitute teacher in the public school system. Not quite satisfied with her career, Lee started taking law classes. This choice proved to set her on a course of a lifetime. She often studied in the Northwestern Medical School Library for the pure and simple fact that the building never closed. She was taking night classes, and this library was convenient to her study timetable. One evening at the library, Lee was sitting in front of the New England Medical Journal where she was spotted by interested eyes. As fate would have it, a young man named Owen found the courage to ask her out for a soda at the local Walgreens. Lee agreed to this impromptu date and even provided Owen with her telephone number. Unfortunately, Owen was unable to connect with her shortly after this initial meeting, for Lee had some plans of her own before seriously considering the idea of settling down. Instead, she hit the road heading west in her 1969 blue Camero all by herself. She let the road ahead of her lead the way, and she literally winged it for about a month exploring the country. Owen did not give up though, and finally, his persistence paid off. Eventually, they arranged to go on a real date. Within only a few weeks, he asked Lee for her hand in marriage. She was not quite ready for this commitment and told Owen they needed to slow down. They slowed down for about 6 months - then they were engaged and planning a wedding. The wedding celebration took place over the spring break of 1971 in Deerfield, Illinois. They traveled to Miami for their honeymoon. The newlyweds looked forward to Owen's graduation from medical school in that same spring and promptly moved to Kalamazoo, Michigan afterward. They planted roots in this new place except for when Owen was in the Air Force between 1973 and 1975. The happy couple adopted a dog, a big mutt, named Duke. Lee loved that dog like he was her only child, and she would take him for endless walks. In time, Owen and Lee entered the adventures of parenthood when they welcomed their only daughter, Cindy in 1976. Lee stayed home with Cindy and devoted herself to being a great mother. Lee was the kind of mom who spent hours hand sewing outfits, assisting with nightly homework, making a dollhouse, and supporting Cindy in all of the extracurricular activities. She will always be remembered as a mother who was loving, dedicated and involved. Once Cindy was a little older, Lee decided to go back to school to earn her MBA in finance at Western Michigan University. Soon she found a few jobs: teaching at Kalamazoo Valley Community College, Kellogg Community College, Davenport College, and Western Michigan University. She also taught at the extension campus in the economics department. Aside from finding new career opportunities, she still very much enjoyed her family. Though Owen was a bit more reserved in his personality, Lee brought the adventure in their relationship. 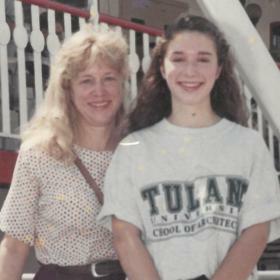 When Cindy was 13, mother and daughter ventured to Alaska on a cruise and also experienced the beauty of the state on a train. In other adventures, Lee took on the fun of learning to ice skate, even attempting jumps and spins. She was actually quite good! This was one of the instances in her life (and there were many) that proved she was very determined and would always persevere. She was small, but she was definitely mighty. In 2011, when the time came for Owen to retire from his position as a primary care internist, Lee decided to retire too. This retired lifestyle gave Lee the chance to do more. She loved to practice her artistry with oil paintings and landscapes. As a couple, she and Owen began taking ballroom dancing classes. They kept this up for years and danced together 3 to 4 days a week. Lee made dancing look easy, as she had a natural grace about her. This time of retired life gave Lee more time to continue taking her dog for a walk, for they always had a dog in their lives. She would leisurely enjoy treks through the woods and parks - usually walking a few miles every day. Because of her fair skin, she was easily spotted wearing her big brimmed hat to shield her from the rays of the sunshine. 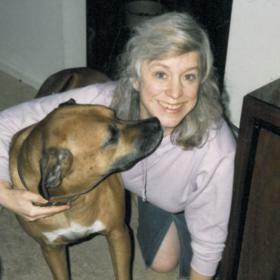 Due to her fondness for dogs, she also volunteered at the Kalamazoo Humane Society for several years. Lee enjoyed sewing just about anything on her sewing machine including clothes and costumes. She was a great knitter and crafty in all sorts of ways. She loved to shop and relished in decorating for the holiday season. She even loved to play the stock market! Her love for chocolate was well known, as she was a self-proclaimed chocoholic. In fact, her last meal was a decadent chocolate brownie. One of the most delightful moments in her retired life came when she celebrated the gift of her granddaughter, Lillian. Lillian brought great joy to her grandmother. In fact, whenever Lee saw Lillian she would glow. She would buy Lillian special items from art fairs and flea markets. She adored her granddaughter. As the years passed, Lee began to experience the challenges of dementia. She still found joy in her passions for gardening. She loved tulips, daffodils, and lilies in her yard. She was never one for the fanciful, but rather she leaned toward things of natural beauty. Lee enjoyed 72 years in this lifetime. With great sadness, we now must part ways. Lee passed away peacefully on January 26, 2018, at Kairos Dwelling in Kalamazoo. She leaves behind her greatest pride, her husband, daughter, and family. As we began to look back at the memories we shared with Lee, we can find comfort in knowing she is now at peace. We will miss her dearly, but she will never be forgotten. Surviving are her husband of 46 years, Owen Berow; daughter, Cynthia “Cindy” (John) Dubberley and their 12-year-old daughter, Lillian; 2 sisters: Judy Buffo (Ernest Bloch) and Jackie (Mark) Hegman; step-mother, Ruthie Cramer and many nieces and nephews. Cremation will take place. Services will be held Tuesday 11 am at the Betzler Life Story Funeral Home, 6080 Stadium Dr. Kalamazoo (269) 375-2900 followed by a reception in the Life Story Center. Memorial contributions may be made to Kalamazoo Humane Society or a charity of one's choice.